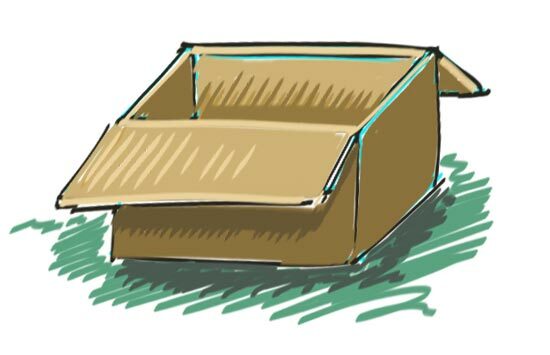 What could be more exciting that drawing a cardboard box? 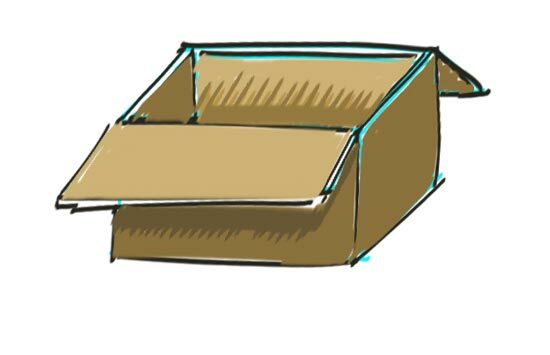 The humble cardboard box is an excellent way to get a handle on drawing almost anything box based. Because a box is box, right. The card board box is a very pratical invention and has been around since the 1800's. I imagine the inventors wanted something light weight to put put stuff in. They probaly did not consider the best use of the paper box, which is of course - Making a fort out or a refrigerator box! I remember when we got our new refrigerator. Mom was excited and so were us kids. we got to keep the box. We hauled it into our room and drew a door and windows and then cut them open with a kitchen kife (kids - be sure and ask mom or dad before you try this.) (Oh yeah, also make sure no one is in the box when you stab the knife into it! Seriously! This almost happend to my brother and I.) He was in the box, I had the knife. It could have gone very poorly. Fortunately it didn't. So, stick to drawing and let your mom or dad do the cutting. Enough rambling, lets get on with the drawing. 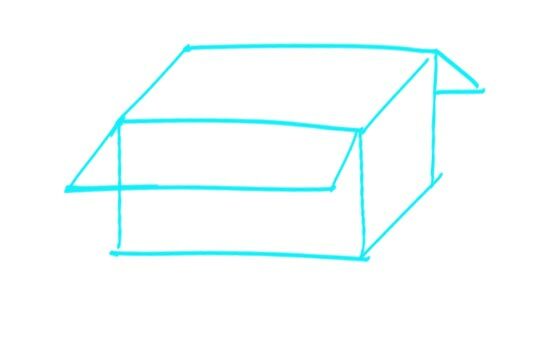 Now let's get started with "How to Draw a Box." 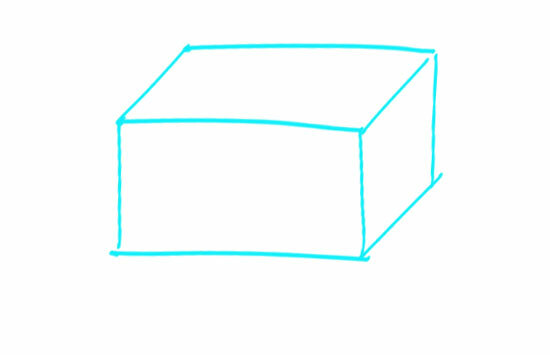 Draw a tall rectangle to establish the basic shape of your box. Now lets give the box some depth. 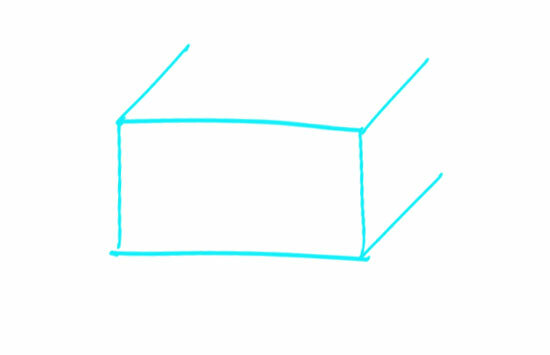 Draw angled lines from the corners of the box. 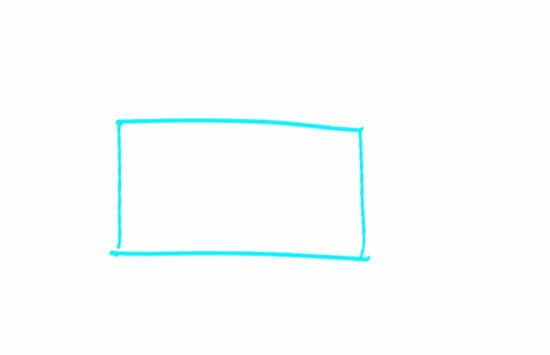 Now connect the angled lines with lines that are parallel to the box. 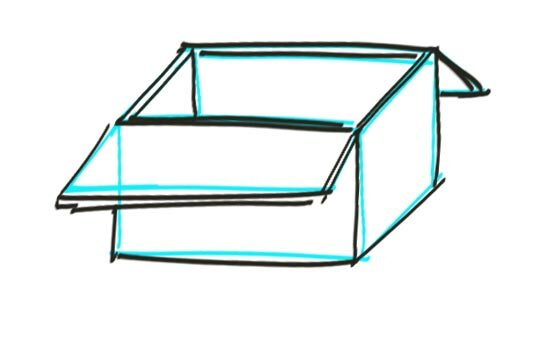 Continuing "How to draw a Box"
Let's make this an open box. Draw some flaps for the open cardboard box. Its just a few more angled lines and parallel lines. Use apencil to sketch it in and if if you mess it up, try again. No big deal..it's only a box and your just learning. Expect some struggles! Give your box some thickness by drawing anothe set of lines close to the original box edges. It's time to grab a marker or pen, or just bear down with tha pencil alittle more and darken the edges of your box. I added some thickmess to the flaps while I was darkening my lines. Imagine where the light is coming from. Then begin to colro your box with diffeent shades of cardboard color. Tan, Brown, etc. Really your box can be any color but different shades helps it look mre dimensional - more 3D..
Now color in the shady sides of the box. I added some diagonal lies to give my box a graphic look. Grab adarker shde and fill in ashdow under the flap. You could also layer onmore of the colr you had. it all depends on what you are using to color with. As a finishing touch, I added some highlights to my box. You can do this with a white crayon, and eraser of even soem white paint. It isn't absolutely necesary anyway, I just felt it could use a little punch of highlight. 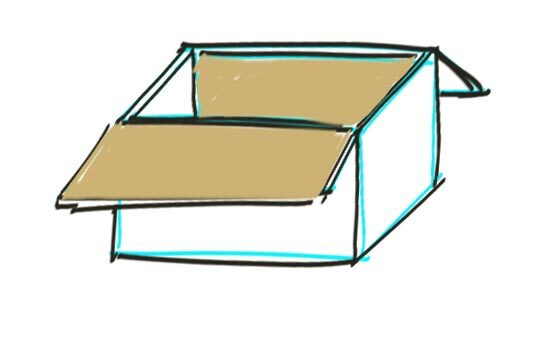 Hang in there, your almost done with "How to Draw a Box"
Place your box on the ground by scribbling some shading under it. I used a medium green and then a dark green for the shadow. Make interesting marks. Have fun with it! 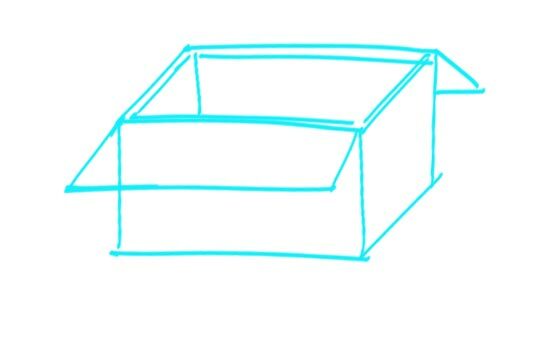 "How to Draw a Box!"